Home > Out Of The Box > How Can You Help To Keep Your Employees Happy? March 20th was International Day of Happiness. Those celebrating had one united goal in mind: to create more happiness in the world around them. In today’s America — where happiness is dropping — it’s more important than ever to take note of this day. In fact, according to the World Happiness Report, while the U.S. ranked third among the OECD countries in 2007, it dropped significantly to 19th place in 2016. The implications of this plummet can be felt across corporate North America. In fact, new research from my company, Achievers, found that 74% of employees in North America are planning to look for a new job this year. Employers need to dig deep to understand the source of this employee happiness decline if they are going to prevent a retention crisis in their own organizations. According to the World Happiness Report, the factors impacting happiness rankings include: having someone to count on, generosity, and freedom from corruption. All of these factors feed into the dwindling happiness across the globe, a decline that may soon extend to employees in your own organization. Employees who don’t feel they have someone to count on at work or who don’t feel a sense of freedom can become overwhelmed, burnt-out, and ultimately unhappy in their jobs. This pain and discomfort could lead them to search for happiness with another employer. 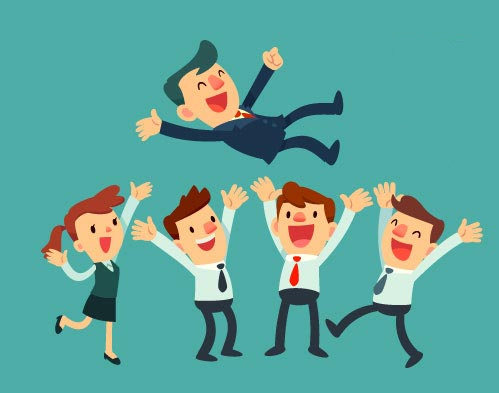 So, how can you help keep your employees happy? In order to keep employees satisfied at work, meaningful and frequent recognition is crucial. In fact, the majority of North American employees cite a lack of recognition as their main reason for planning a career change, according to our research. However, recognizing and rewarding each employee on a daily basis is easier said than done. This is why it’s essential to make recognition a team effort. Give employees and managers the opportunity to acknowledge one another through an online recognition platform that offers peer-to-peer and manager recognition. These types of social recognition platforms provide company-wide visibility, allowing everyone to celebrate one another’s success. Alternatively, take recognition offline and invite people to spotlight each other’s accomplishments both inside and outside the workplace during company and weekly team meetings. After all, in-person recognition is invaluable. These approaches put the power of recognition into the hands of every employee, making it easy for them to appreciate others, while also feeling valued themselves. Making praise a regular company-wide effort will ensure that employee recognition becomes intrinsic to your company culture. Listening to employee feedback isn’t a new concept but when employees feel they have no one to count on at work, they are far less likely to provide input. This lack of candid, two-way communication does nothing to improve employee satisfaction and is even detrimental to retention. Show your people they can count on their company leaders by both starting the conversation with them and taking action on their feedback. Rather than waiting around for employees to provide feedback through an annual survey, check-in frequently with daily or weekly pulse surveys to gauge workplace and company satisfaction. When gathering frequent feedback, it is important to keep questions short and sweet. Ask your team how they’re feeling and offer a few preset responses for them to choose from. Follow-up questions can be open-ended to make it easier to dig deeper and gather useful insights that can be used to improve employee satisfaction. After gathering feedback for a few months, look for notable trends. Are there specific days your team frequently says they’re unhappy? Is there a time when everyone’s feedback is more positive? As employees see changes based on regular, candid communication, trust in leadership and company morale will both move in an upward trend. Your company culture shouldn’t just appeal to employees as a collective, but also to each individual. To foster this, create a greater sense of belonging by focusing on the entire employee experience life cycle. That starts with the onboarding process. Help new hires find their place within the company by recognizing them for completing training milestones or hitting their first work goal. Showcasing a culture of recognition early in the employee life cycle emphasizes to employees that they are an important part of the team and also instills a sense of belonging. Regardless of where an employee is in their life cycle, they need to feel connected to their work. Continue to nurture a sense of belonging by frequently communicating company objectives and ensuring that individual goals are tied to those overarching goals. Goal continuity helps employees see how they fit into the overall success of their company. As retention improves, it is easy to become complacent and to forget to focus on improving employee happiness. However, with so many career options, the temptation to search for new, interesting opportunities always exists for your people. So, investing in individual and overall employee satisfaction needs to be an ongoing process. Maintain employee happiness — and in turn, retention — by implementing a simple, consistent approach to: recognizing their accomplishments, listening to their concerns, and creating a culture of belonging. Make it clear to your people that you are paying attention by taking action to make your company a place where they can thrive — now and for years to come. Natalie Baumgartner, Ph.D. is the Chief Workforce Scientist at Achievers, an employee engagement platform specifically designed to align everyone with business objectives and company values, driven by recognizing shared victories every day. She has spent her career translating engagement and culture research into technology that improves the lives of every employee.